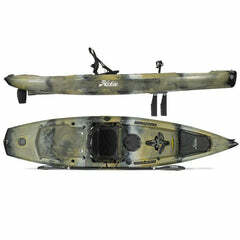 Kayak fishing is a source of joy and excitement. 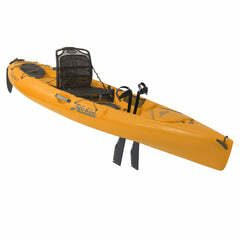 You get to be outdoors on the water and the possibility of catching lots of fish or a huge fish up close from a kayak is exciting. 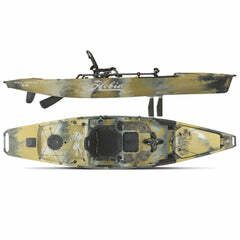 Over the years, you'll buy many items to rig your yak and improve your fishing game. 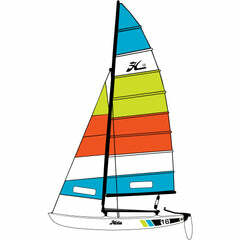 But the most important accessories and knowledge you MUST take on the water are safety items and safety practices. Lots of adverse things can happen when kayak fishing. 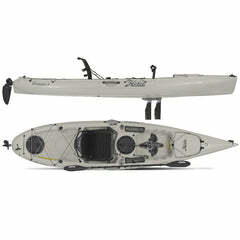 The most common problem or concern is "turtling" or flipping your kayak. 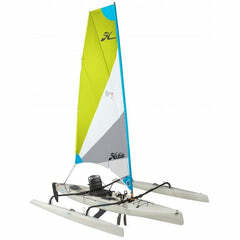 Hobie kayaks are extremely stable, but in extreme situations can flip. 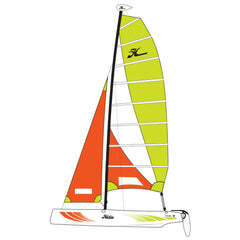 Other problems are dehydration, collisions with boats or other obstacles, getting a hook embedded in yourself and more. Like Mom always said, "have FUN...but be careful". We've put together a list of kayak fishing safety accessories and best practices to stay safe when kayak fishing. We encourage you to consider all these on each and every outing. 1. A float plan. Let others know where you're going and when you expect to be back. It costs you nothing and can save first responders valuable time if something goes wrong. 2. PFD or personal flotation device. Buy one and wear it at all times on the water, there are many possibilities on how you could wind up in the water...be ready. There are unique models that are made specifically for kayak anglers. 3. Whistle or horn. Stuff happens that may require help from other people. Be safe, have a way to signal for help. A whistle is very small and light. 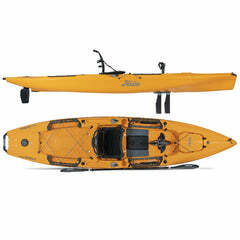 Leash it to your kayak in case an emergency happens so you can signal for help. 4. Sunglasses or eye protection. In a kayak you are low in the water. Some times hooks can come flying out of the water on lure retrieval or failed hook sets, protect your eyes. The glare of bright sun reflecting off the water can also damage your eyes, protect your eye sight with sunglasses. PLUS, there's an upside. With polarized sunglasses you can see past the glare on the surface of water and sight fish or see what type of bait fish are in the area. 5. Hook cutter or hook removal. It's all fun and games...until you or someone else gets stuck with a hook. We've seen hooks get buried in any part of the body. You'll panic less if you have the tools or knowledge how to deal with this situation. 8. Sun protection and fresh water. Protect yourself from the dangers of dehydration. 9. Water proof case for your phone. Kayaks can get you in to some pretty remote locations. There may not be other people near if something goes wrong, but you could possibly have some cell coverage that permits a phone call or text message. Most phones stop working when dunked in water. 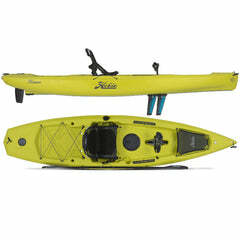 There are many affordable water proof cases that can leashed to your kayak. You're going to bring your phone anyway, make sure it will work if you need it in an emergency. 10. Compact first aid kit. Band aids, scissors, pain relievers, immodium, gauze, aspiring, tylenol and more. The actual contents should be dictated by the type and location of your adventure. Bottom line is you can assemble a basic first aid kit that is compact and not very heavy. 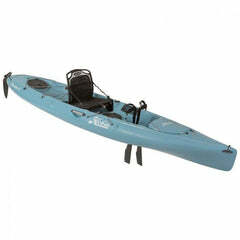 Kayak fishing accessories make the sport more fun and SAFE! The gear and accessories keep getting better every year, it's why the sport is so much fun and interesting. Part of that fun is improving your fishing game. A crucial part of the game is applying the "safety first" principle. Be confident on your outings that you have best fishing gear and the preparation and confidence to handle any situation that may come up. See you on the water! 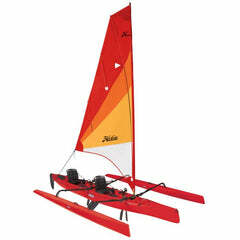 Check out our Hobie Kayak Accessories!